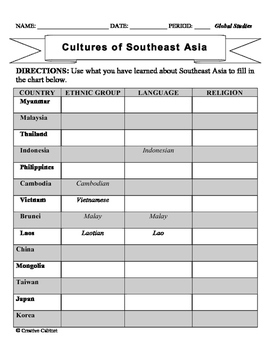 Students will be able to answer the following guiding questions: What are the cultural characteristics of East and Southeast Asia? Where do people live in Southeast Asia? East and Southeast Asians Live?